An entry for the ongoing Jolly Roger Contest III over at Forbidden Cove, Matthew Hurt’s wrecked ship is one of the best wooden derelicts I’ve seen. 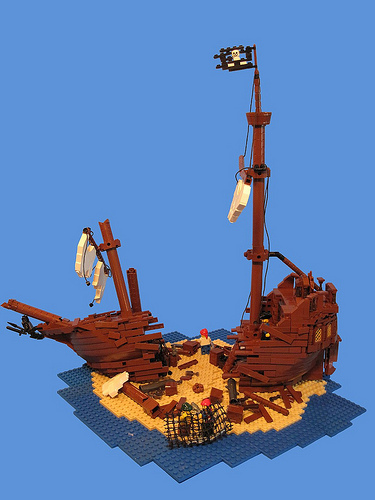 Wow…a great pirate themed MOC as well as a LOST reference. That’s a one-two punch if I’ve ever seen one.